The Franklin is an innovative and dynamic design that solves the challenge of continual changing care demands. 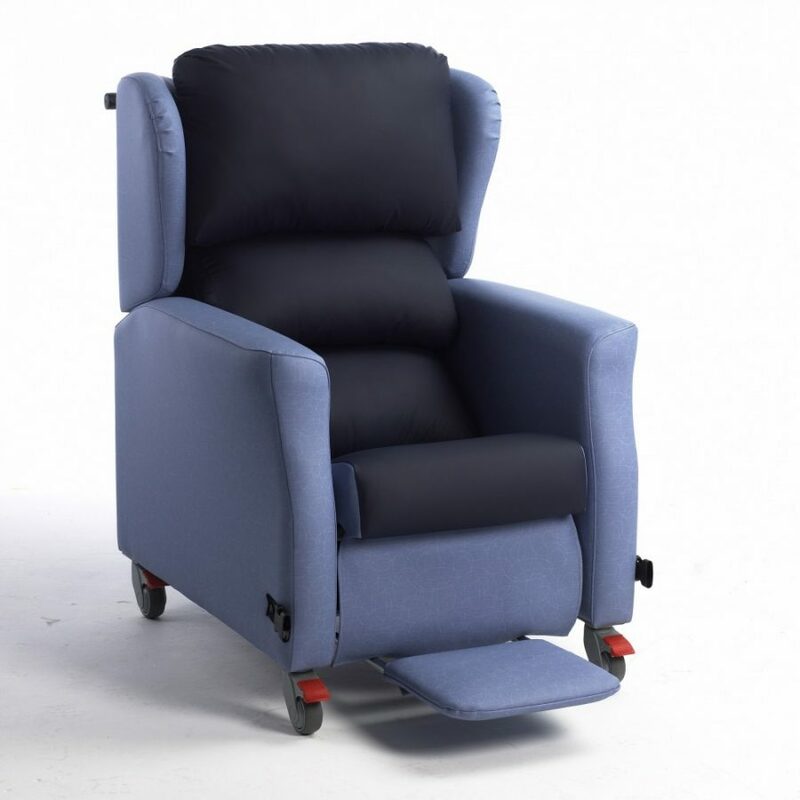 With many features as standard this chair offers a wide range of options for easy movement, comfort and support. – The push handle comes with rubber grips. – Adjust the angle of the back into a recline position using the lever on the push handle, the back position locks into position when the lever is released, for optimum safety. – The separate waterfall back cushions can be individually positioned and adjusted for the user’s comfort and support. – D rings come as standard to fit a lap strap and pad for portering. 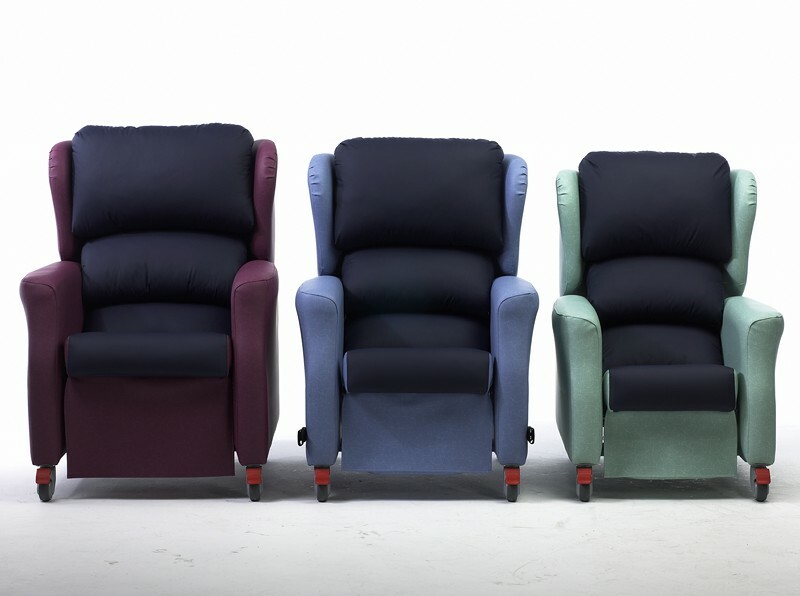 – Seat and back cushions are upholstered in a four-way stretch, vapour permeable fabric to aid pressure care. The fabric is washable at 95C and available in a range of colours. – The seat depth can be adjusted in three positions, from 10 degree, 15 degree to 20 degree angles, providing a range of sitting positions to help relieve pressure and discomfort. – The memory foam and contouring of the seat cushion helps to disperse weight to support pressure management. – The sliding footplate is padded and comes with a removable cover for ease of cleaning. – The Franklin comes with lockable castors.